In 1986-1992 Mr. Sarkissian continued his professional career as a Research Fellow and Visiting Professor at the Moscow State University, as well as in various universities in Germany, US, Greece, and the United Kingdom. In 1991 he was appointed the Chargé d'affaires of the Republic of Armenia to the United Kingdom, later was appointed the Ambassador of Armenia to the UK and served in that capacity until 1996. 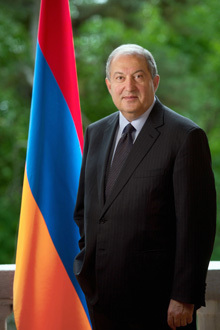 He is married to Mrs. Nouneh Sarkissian, the couple has two sons and three grandchildren.